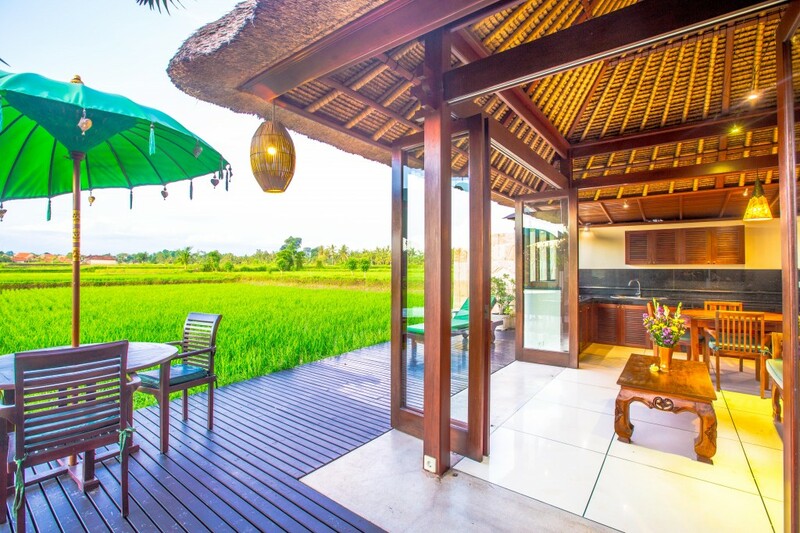 The five luxury villas at Harmony are available for individual and group bookings, for workshops, seminars, small weddings, yoga retreats and family gatherings. 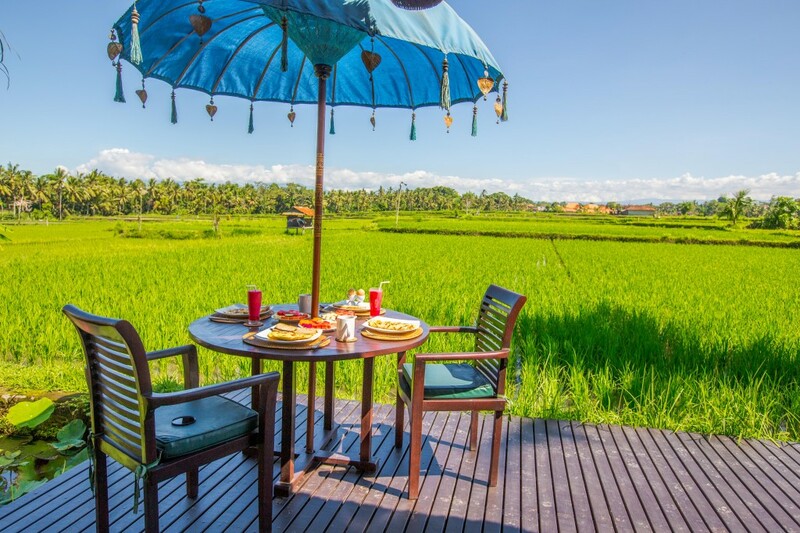 The entire Villa Harmony property is available for groups of up to 14 people. Two, 2-bedroom (Villa Budi and Villa Sungai) and three 1-bedroom (Villa Asmara, Jantung and Jiwa). We can accomodate groups in 7 doubles, 5 doubles or 4 singles for flexibility. Extra beds can be added for up to 4 people by arrangement. 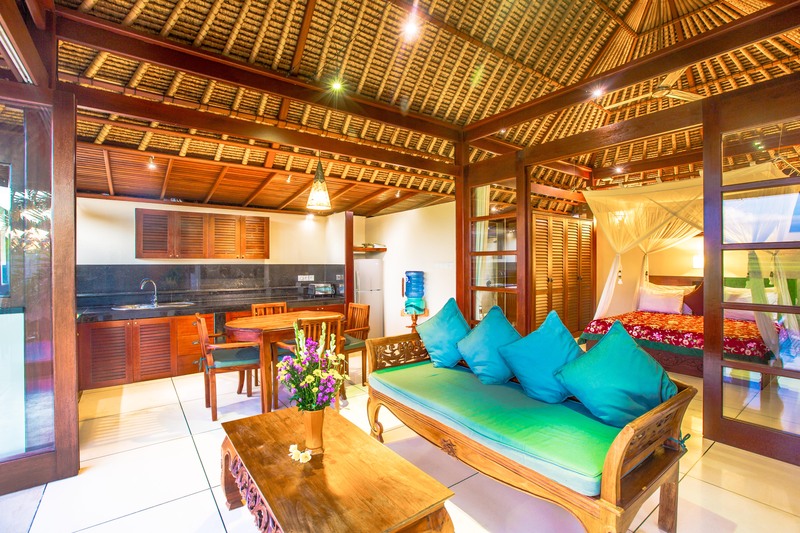 Affordably priced and tastefully furnished in tropical modern minimalist style, each villa features open tropical architecture and focuses on privacy and tranquility. All villas are steps away from the stunning 15 meter infinity pool, situated on the very edge of the bluff overlooking the rice. Please contact us by email or by using our inquiry form for a quote, booking reservation or villa inquiries. Please include as much details as you can provide so we can help you plan the event of a lifetime. You are encouraged to plan as far ahead as possible so we can block out the time and villas for your event.